Does the post holiday illness hit your house like it does ours? It seems like that as soon as the hustle and bustle of the holiday season is over, the kids come down with a cold or the flu. When my kids get sick with a sore throat, I like to whip up these Sore Throat Popsicles. This Sore Throat Popsicle Recipe is easy to make and tastes pretty good. It has lemon, honey and ginger in it which have all proven to have some soothing effects on a sore and raw throat. If you don’t want to use lemon juice, you can just as easily switch it out for the orange juice. One of my girls prefers the orange juice popsicles because it makes the taste of the ginger which she doesn’t like. Add the honey and simmer for another 1 – 2 minutes until the honey is dissolved. Pour the mixture into a bowl through a fine strainer. 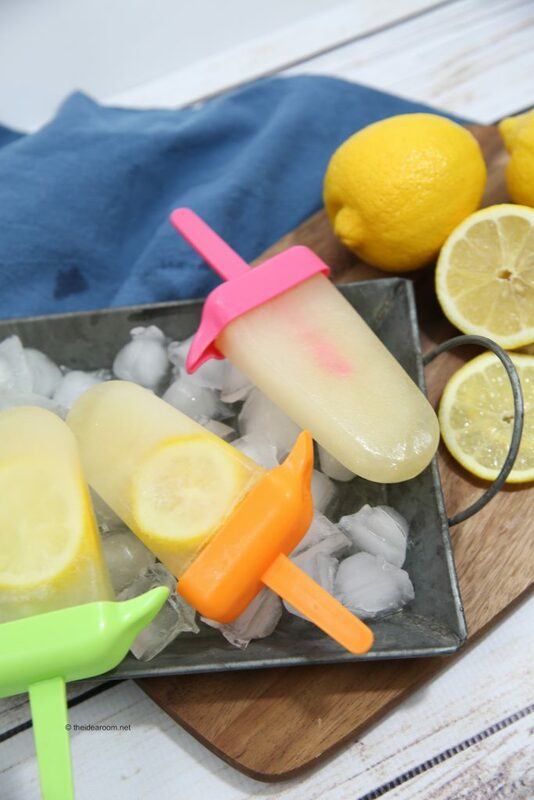 Pour the mixture into your ice popsicle molds. Place a 1/2 slice of lemon in each mold. Leave about 1/4 inch at the top to leave room for expansion as it freezes. 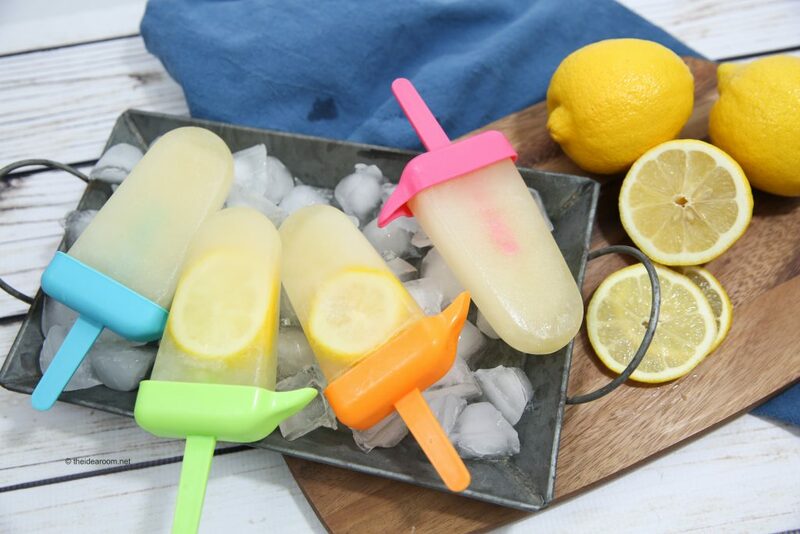 Place popsicles in freezer and freeze until solid. 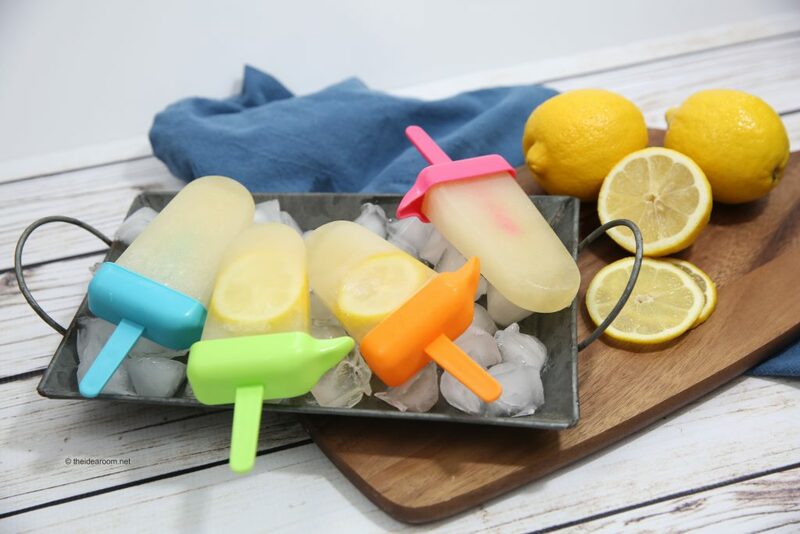 Run warm water on popsicle mold for a minute to loosen them up so they can easily be removed from the molds. We found our Popsicle Molds at Target, but I have seen some similar ones on amazon here. 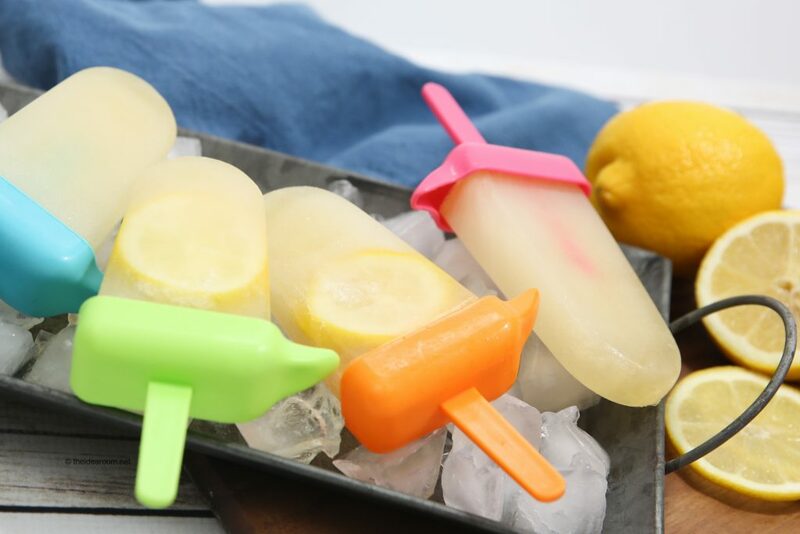 You can add some sliced lemons or oranges to the popsicles for a little fun appearance, but honestly, I am the only one in my family that likes that…the kids seem to always pick the ones without the lemon slices. 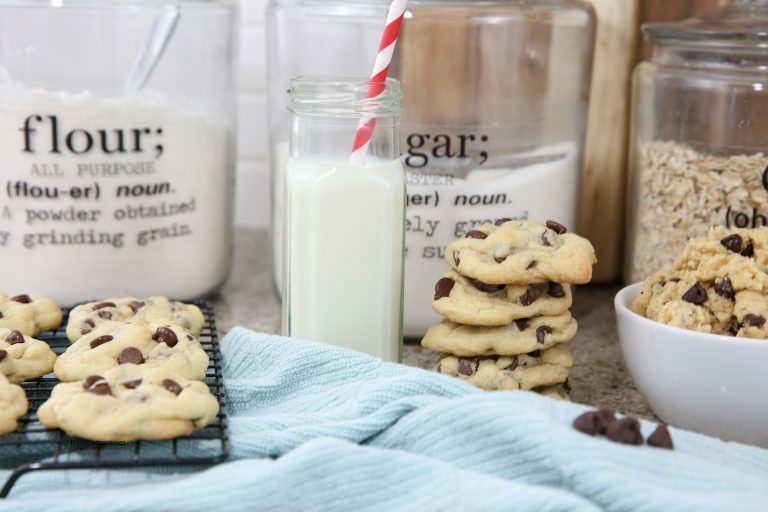 Whip up a batch and store them away in your freezer to pull out when your kid (or you) comes down with a sore throat. This recipe makes about 12 popsicles. Did you like this recipe? I would love for you to pin it and share it with your friends and family! such a great idea. something the kids won’t need to be convinced into eating. Becca- Thank you so much!